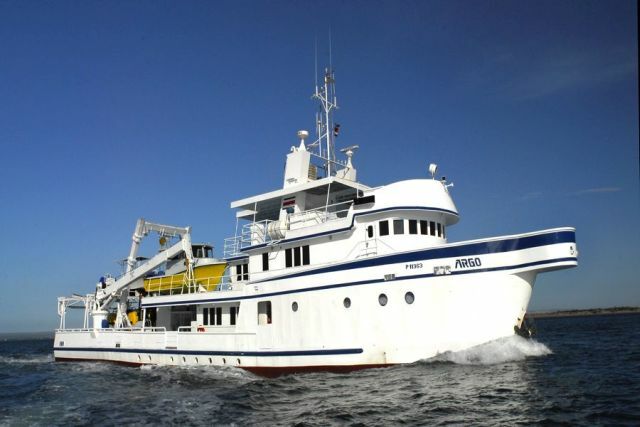 The ARGO is a 130 feet / 40 meter steel vessel perfectly adapted to withhold the challenging conditions of the central american east pacific region. 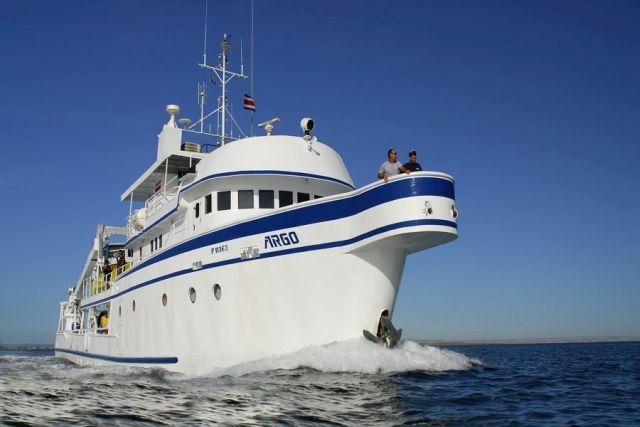 Argo is operated by the Undersea Hunter Group and offers distinguished liveaboard comfort and high standard diving cruises to the Cocos islands in the Costa Rican pacific. 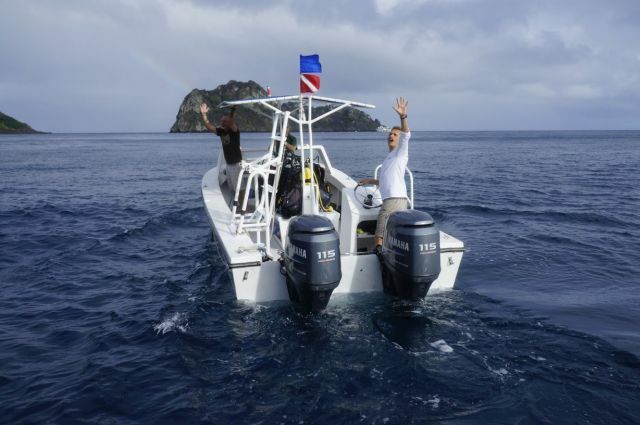 The specialties of this dive adventure to Cocos are excellent service, rich cuisine and non Stop underwater adventure. 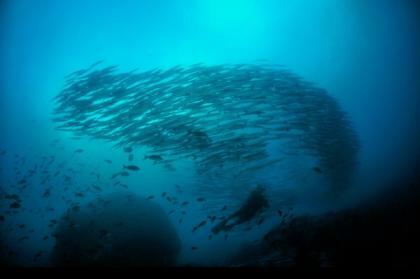 Regular dive expeditions 7 action packed diving days at Cocos Island. Navigation: 2 Radars-48 miles, 3 GPS, 2 recording fathometers Radio Direction Finder SIMRAD Auto pilot. 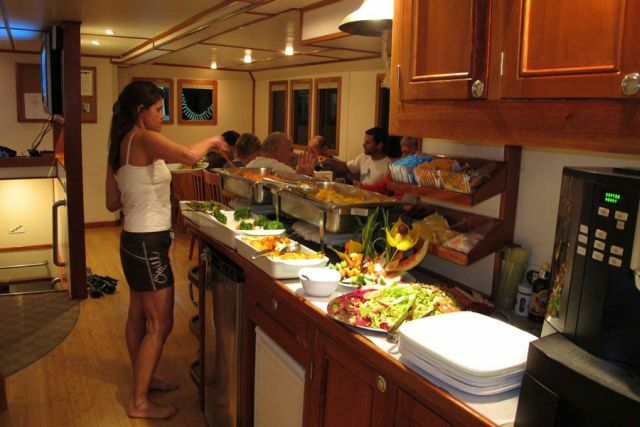 Food: The delicious cuisine of the Argo offers varied and delicious menus from a mix of American and local dishes. Plenty of fresh tropical fruits, salads, fresh fish, chicken and beef are on the menu. Beside of water, coffee, tea and softdrinks also local beers are available for free. 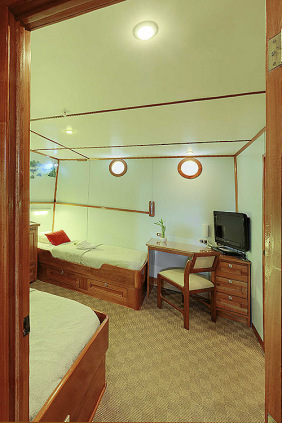 The Argo offers 8 spacious double cabins equipped with shelves and cabinets, hangers, 110 volt connections and adjustable air conditioning. 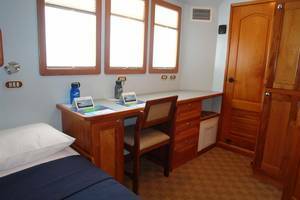 Of course, each cabin has a private bathroom with shower and toilet. 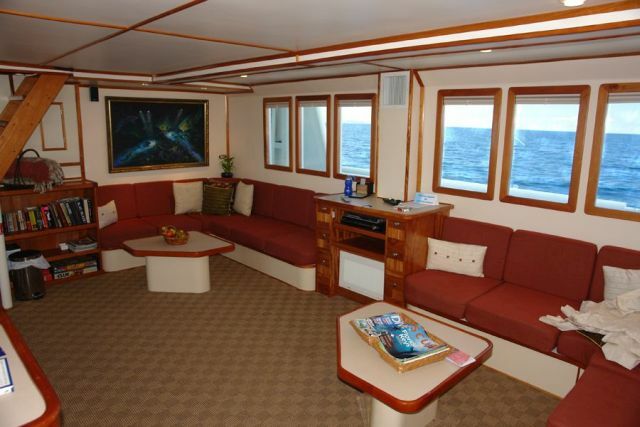 The ship has 4 decks, 6 cabins on the lower deck and 2 cabins on the upper deck. 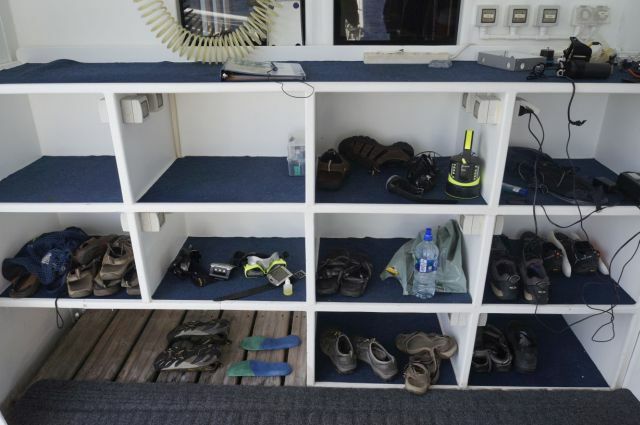 Cabin 1 and 2 on the lower deck also offer much extra space for divers with a lot of equipment. 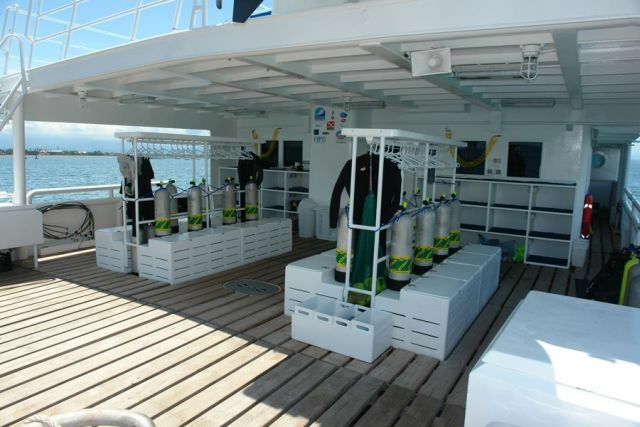 Rental gear: Buoancy Control Device, Regulators, Wetsuits, Dive computers and dive lights are available. 15 liter steel tanks on board. 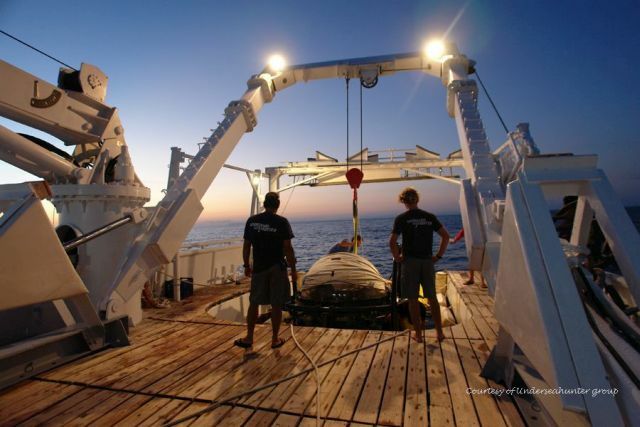 Safety: Two 25 person life-rafts, DAN 02 emergency kits are present on all the skiffs as will as on the mothership, Safety Kit that includes an extra-large orange dive sausage, a powerful storm whistle and a special safety light. 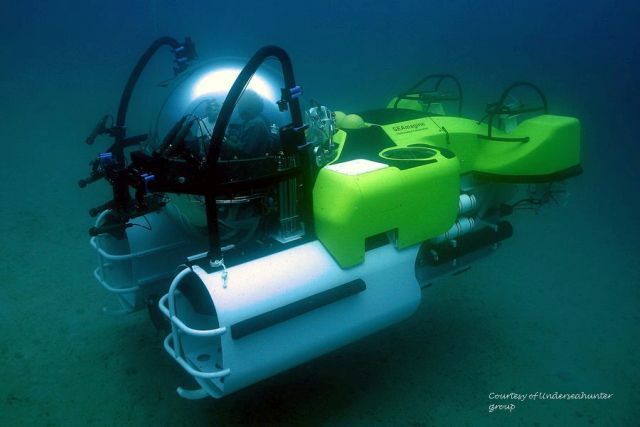 20 EPIRB units for diver location. 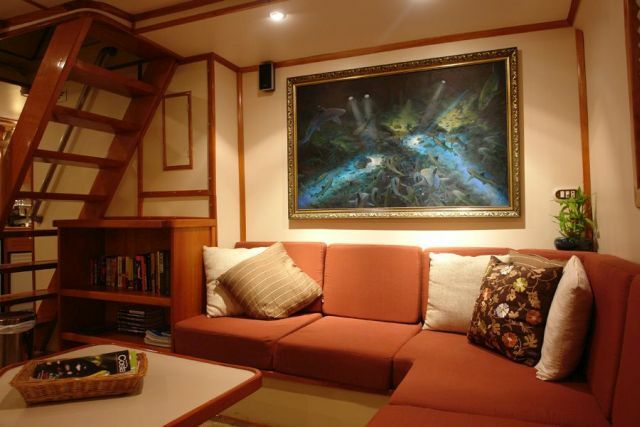 Argo Liveaboard offers well designed diver facilities: private camera/strobe storage shelves with individual 110 volts AC power, individual gear storage, a private dryer for clients towels and bath suits, etc. 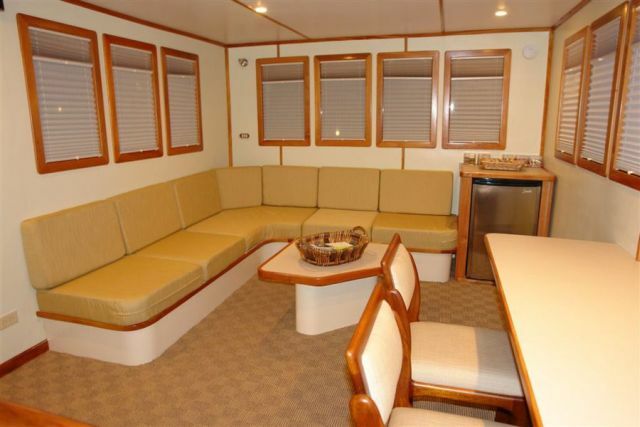 Skiffs: two fiberglass skiffs of 22' and 24'. 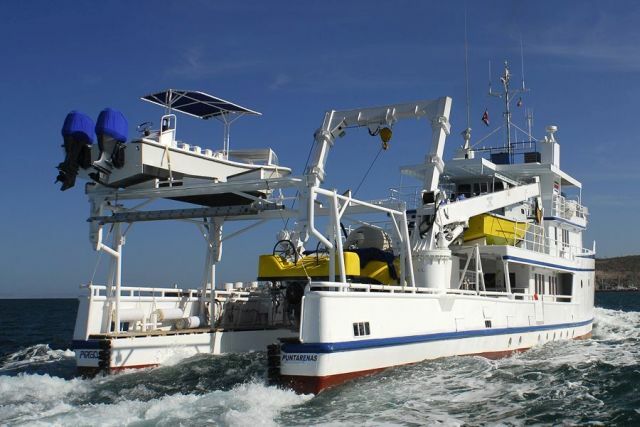 Each boat operates with 8 or less divers. Please arrive at least 1 day before boat departure in Costa Rica. Meeting point is on the first trip day at some specific hotels in the capital San Jose. Guests accomodated in other hotels need ot take a taxi to the meeting point. 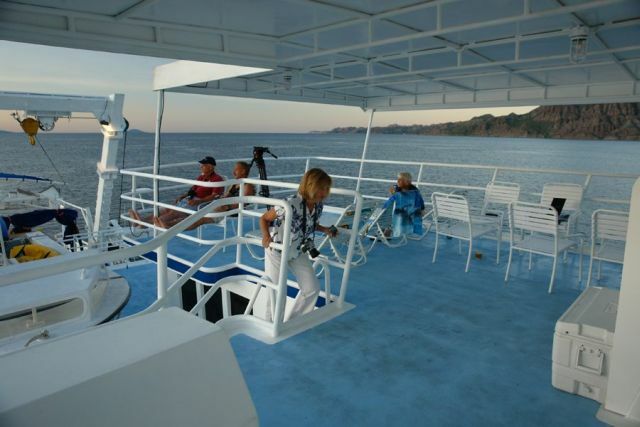 Argo departs from Puntarenas on the Costa Rican Pacific coast about 2 hours driving distance from San Jose. This scenic drive on a 110-km route takes about two hours and provides an excellent opportunity to enjoy the lush landscape of the region. 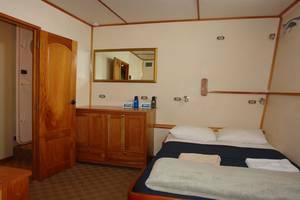 Puntarenas has not a lot to offer but we can recommend some nearby resorts, if you want to stay the night before the departure close to the docks. Because of flight times to and from San Jose, the capital of Costa Rica, we recommend an overnight stay before and after the dive trip.